Last edited by Keith Palmer; 08-08-2018, 03:39 PM. 15 volumes for the month. I also managed to get caught up on a lot of reading that I'd fallen behind on over the past few years. That project continues as I work my way through Nisekoi: False Love. Catching up is going to take a while, but I have more time now that I've retired. I think that is Batman manga by Kuwata Jiro, which were carried in the Shonen King and Shonen Gaho magazines in the 1960s. 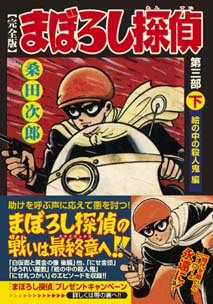 Kuwata Jiro was famous for his superhero manga such as Phantom Detective, Moonlight Mask and 8 Man. It is interesting that he also drew Batman. So he did 8 Man too? I'll definitely check that out along with the sequel 8 Man After. Thanks for the info! Also, the Batman manga was running during the original airing of the Batman TV series in 1966. AFAIK familiar foes like the Catwoman & the Joker don't appear in the manga but the villains that are in it are interesting & enough to give Batman & Robin a run for their money. 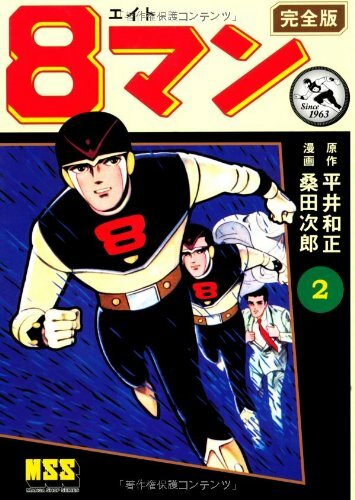 The scriptwriter of the 8 Man manga was famous sci-fi writer Hirai Kazumasa. You may have watched the 8 Man anime as Tobor the 8th Man on TV in your childhood. Also, the Batman manga was running during the original airing of the Batman TV series in 1966. AFAIK familiar foes like the Catwoman & the Joker don't appear in it but the villains that are in it are interesting & enough to give Batman & Robin a run for their money. Yes, Fuji TV broadcast live-action TV series Batman in Japan in 1966-67, and the Shonen Gaho and Shonen King magazines carried Kuwata's Batman manga in 1966-67. The Shogakukan edition of Kuwata's Batman manga seems to have tables about which chapter of Kuwata's Batman is based on which Batman comic book. 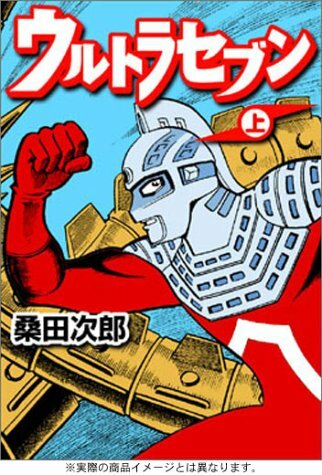 Kuwata Jiro also drew an Ultra Seven manga.